Waffle On About Monty Pythons Life of Brian. Welcome to this months edition of Waffle On Podcast in which Meds and Kell discuss the brilliant Monty Python film Life of Brian. Often touted as the best comedy film ever made (we agree) it also has caused (unfairly) some controversy. 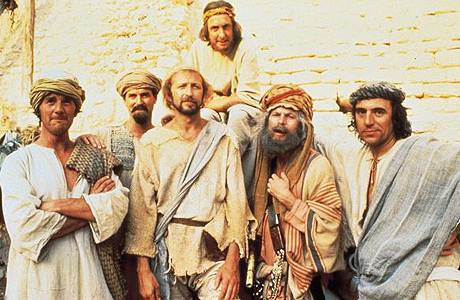 Written and starring John Cleese, Graham Chapman, Terry Jones, Terry Gilliam, Michael Palin and Eric Idle this film tells the story of Brian a Jewish (or is he a Roman) man caught up being mistaken for the Messiah and no matter how many time he tries to convince people he is just a average bloke no one believes hm including Pilate the Roman leader. We play clips from the film and of course the main title theme and the brilliant end credits ong Always Look on the Bright Side of Life.